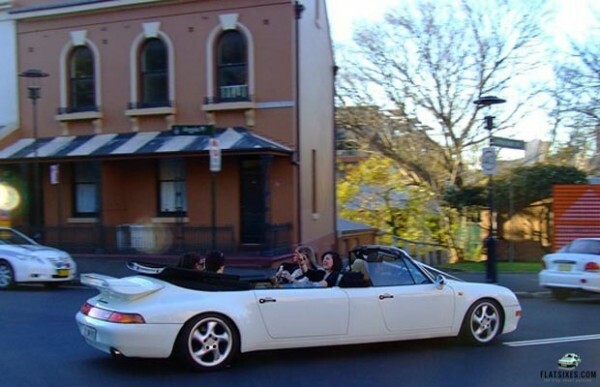 Porsche 911 Limo For Sale… Again. I remember when this Porsche 911 Limo first came up for sale back in 2011. Well, apparently it never sold (I can't imagine why) as it's back for sale again. How do we know it's the same one? Well, besides the fact that the pictures are the same, the description matches word for word. 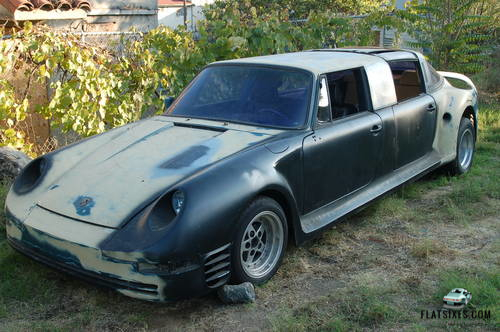 According to the listing, this is a 1983 Porsche 911 Limousine that was being built for the late Rocky Aoki (owner of the Benihana restaurants). It is created from two Porsche 911s including one with a custom 959 body kit and the rear is a targa. The listing goes onto say that the while this is a rolling chassis, it does need a motor and the interior needs to be completed (among other things). 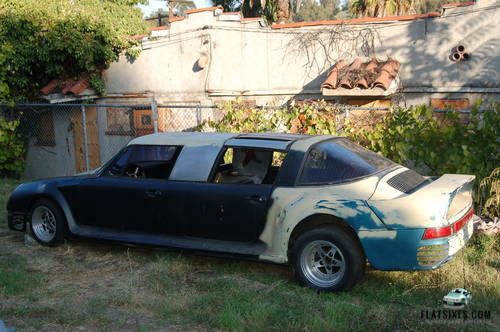 While the car is located in the US (LA), this 911 Limo is currently listed on CarandClassic.co.uk at a price of $45,000. We love the Porsche 993 Limo below, so who knows maybe someone will make a go of this one. Not even worth commenting on…..just sick. I agree, I drove the original 4 door 911 made by Troutman & Barnes back in the late 1960s from their shop in Costa Mesa to the Porsche Parade in San Diego in the 1970s. It handled great on the freeways, until I had to take a sweeping off ramp or on ramp. It gave me the feeling that the rear end was trying to come around to the front. It didn’t break loose, just felt weird. This example looks like it belongs in China, with the other blingmobiles. Apart from the obvious negatives, from a technical viewpoint regarding the tires, I doubt that you can find a low profile tire with enough load capacity to carry the weight. First consideration of any build: Can we carry the load and how much tire will it take to carry it? Just because someone CAN do something doesn’t mean they should… Those should both go to the crusher ASAP.